inserito il: 25/08/2013 abbiamo appena passato una settimana in questo meraviglioso agriturismo, dove si respira il profumo della campagna circostante e ci si rilassa nella piscina a picco sulla vallata. Abbiamo 2 piccoli chihuahua che hanno avuto la possibilit? (del tutto inconsueta) di girare liberi per l'agriturismo. E' stata una vera vacanza anche per loro!! Posto davvero incantevole e Linda, la proprietaria, ? la cornice che completa questo quadro. Dolce, disponibile, presente, solare.... una gran bella persona. Un bacio cara Linda, a presto rivederci. 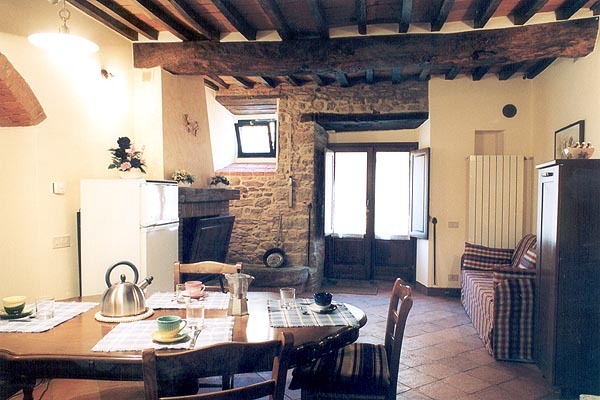 inserito il: 19/08/2012 This agriturismo is a completely delightful and friendly place to stay. Our apartment was perfect and also had a little porch that was nice and cool when it was over 40 degrees Celsius (100 °F) outside (and the bedrooms also stayed cool without air conditioner or fan). 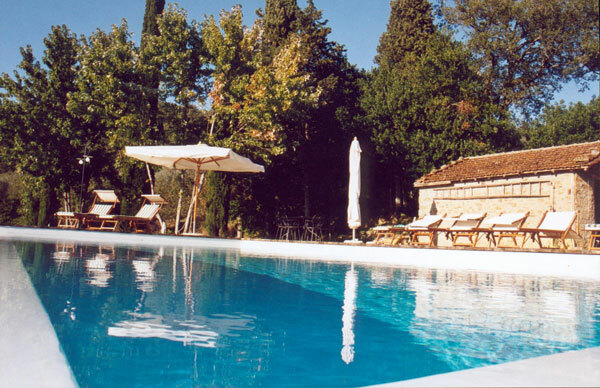 Wonderful hosts, pool, garden; good location to make tours to all the Tuscan destinations the heart desires. Mille grazie, Linda! 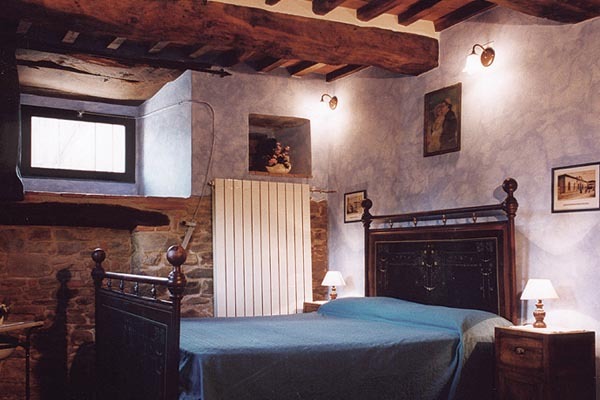 inserito il: 30/07/2012 We stayed for 2 nights in la fenice, wonderful location, kind and friendly welcome by Linda. A pitty we couldn t stay longerin the restful and quiet location. We enjoyed it and hope to comeback. Attention :difficult to find, folllow Tagiano right up to the end of the road. inserito il: 29/07/2012 We went to La Fenice from 21 july- 28 july 2012 and we loved it. We stayed in the appartment Sirio. It was very comfortable and the beds slept perfect. Linda , the owner, cooked us a wonderfull diner and was very friendly. The view from the pool is beautiful and the breakfast, served at the pool was very good! We went to Firenze by train and also to Rome. Both are not far from La Fenice. The restaurants Linda adviced were very good and not expensive. Thank you dear Linda, we had a great time in Toscana and we will be back! inserito il: 16/07/2012 Grazie Mille Linda !! It was a wonderfull week in your house! Thanks for all the good and kind service. We'll recomend this beautifull adres to our friends and hope to see you soon. inserito il: 03/06/2012 “La Fenice”: It is a beautifull and peaceful place, against the hills in a beautifull green surrounding(s). Linda is a very welcoming and enthusiastic hostess, who helped us in a fantastic way after our car had a broken driving belt. She brought us by car to the railway station (and viewed us how to get the tickets from the vending machine) for a visit to beautifull Arezzo. By train it is 10 minutes to go, and we were lucky. It was the first Sunday of the month, so we could visit the immense antiques market!. No taxi in the evening, Linda came to Castiglion Fiorentino by car to pick us up during a torrential rain (She said ”I have a umbrella”!). And she helped us to bring our car to the garage (Her “Mecanicien”), where she translated our problem to Roberto, who repaired everything! inserito il: 05/09/2011 Vivo nella confinante Umbria, per motivi di lavoro ed altre occasioni,mi sono trovato diverse volte, a dover, e voler mangiare nei dintorni delle province di Arezzo e Siena, quindi credevo di conoscere non tutto, ma...un pò, della cucina Toscana,dopo diversi rinvii,(per colpa di Tommi), finalmente alla Fenice, calda accoglienza, elegante sala e via: salvia fritta,crostini con patè di fegato,aristan di vitellino e l'immancabile Rosso Rubino. Bravissima Linda,Complimenti. wir hatten eine erholsame und wunderbare Zeit bei dir. Das Olivenöl ist spitze und erinnert uns immer an die angenehmen Tage. inserito il: 26/08/2011 Veramente bella la fiera di Arezzo!! Grazie Linda della pazienza che hai avuto con noi!! Ti auguriamo il meglio. inserito il: 26/08/2011 Looks like you've made some amazing changes since we stayed with you in October 2005. We never contacted you after our stay, but I want to let you know that we had a wonderful time. The highlight for me is when you arranges a horse back ride for us through a local stable in Castalione Fiorentino. Our stay with you laid the foundation for our life long relationship. We were married the next year and have two amazing children. When we look back on it we know that the stay at your home was one of the most memorable times in our relationship. We hope to return to Italy soon and certainly plan to stay with you when we do. We hope everything is well with your family. We think of you often. inserito il: 26/10/2010 Posto bellissimo! Sembra proprio un paradiso..e che belle dormite!!! inserito il: 15/08/2010 We spend one week in the spacious apartment Vega with our three daughters and we had a wonderful time at La Fenice! We enjoyed the breakfast served by you on the terrace in the lovely garden. The children loved to swim in the nice swimming pool, while we relaxed on the sunbeds enjoying the fantastic view over the valley. The area is interesting, we liked to visit Arezzo, Cortona and Siena. Thanks for giving us the advice to have dinner at 'da Roggi' and 'Antica Pieve'. Linda, thank you very much and we will certainly come back again! inserito il: 21/06/2010 Thank you Linda for your generous hospitality and enthusiasm to share your knowledge of such a beautiful part of Tuscany. 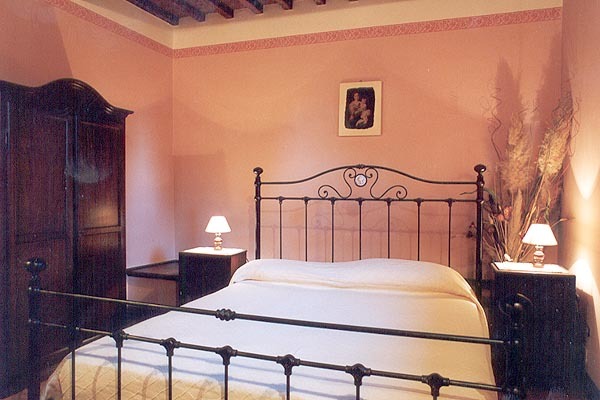 Our stay at La Fenice will be long remembered as one of the most relaxing holidays we have ever had! See you in Canada. inserito il: 21/06/2010 Aver scoperto che in un luogo non troppo conosciuto della Toscana ci sia la possibilità non solo di trascorrere una piacevole vacanza ma di trovare in posto dove si puo fare una ricca colazione senza GLUTINE! Che bello sedersi a tavola senza pensieri. Grazie Linda.